Marcel Lemonde, who served as the International Co-Investigating Judge at the tribunal from 2006 to 2010, sat down in April 2018 for an interview with VOA Khmer reporter Men Kimseng in Paris, France. A UN-sponsored Khmer Rouge tribunal in Cambodia is currently trying two surviving former Khmer Rouge leaders, Khieu Samphan and Nuon Chea. 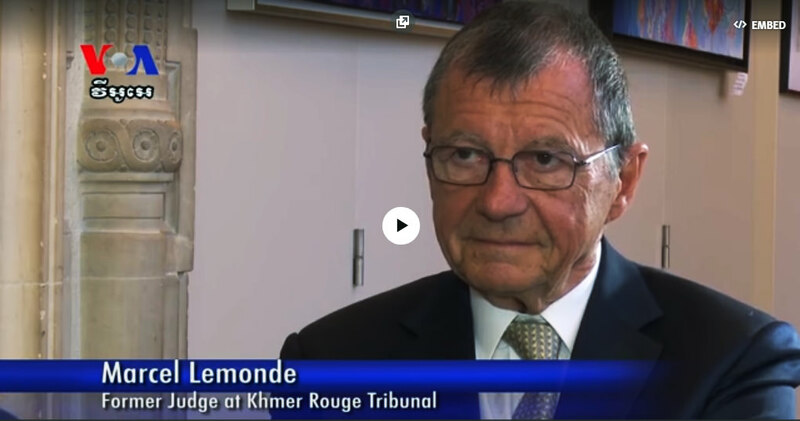 Marcel Lemonde, who served as the International Co-Investigating Judge at the tribunal from 2006 to 2010, sat down in April 2018 for an interview with VOA Khmer reporter Men Kimseng in Paris, France.